We are a community that wants to give the best to our players. We offer you well operated servers, servers that run at the best possible performance and servers that are well modded, not that kind of modded that gives you anything with no effort, we want to give a long-time motivation to our players! 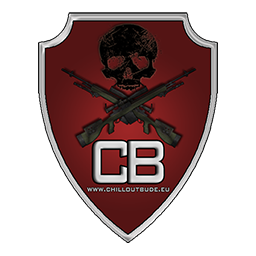 All ChilloutBude servers are hosted on our own dedicated server. The reason we take this extra effort on us is that normal gameserver providers run your servers at the minimum of required resources which often results in lags. We do our best to beware you from frustrating situations caused by lags by giving our servers as much resources they want. Thats only possible with a High-End Dedicated server. However that does not mean that we can avoid lag 100%. The games we provide are in an early stage/alpha, we just give our best to keep the gameplay as smooth as possible. We at ChilloutBude care about our players! You have an awesome idea for our servers? Something like a mod to be added or any other kind of improvement? There is something that you dont like and you think needs to be changed? Tell it to us on our Forum! We continually try to improve our servers depending on player feedback. Below you get some infos about our servers. Connection details and a quick overview of settings and mods. Political and Ethnic discrimination, as well as personal insults, will not be tolerated. Build your constructions mindfully. Try not to block story points or spawnpoints. Looting dead players is allowed. Try to stay fair and take only what you really need. PvP between different Level is allowed. PvP with unequal numbers of Players or Clans is allowed. PvP against Low-Lvl Players is not allowed unless they attack you first. Wipecycle: Monthly Wipe or when Server completly dead. No Hacking, Glitching, Racism, Insulting. Few more things that will get you instabanned: pretend to be admin, all kind of advertising, troll/lie about things which make the server look bad.